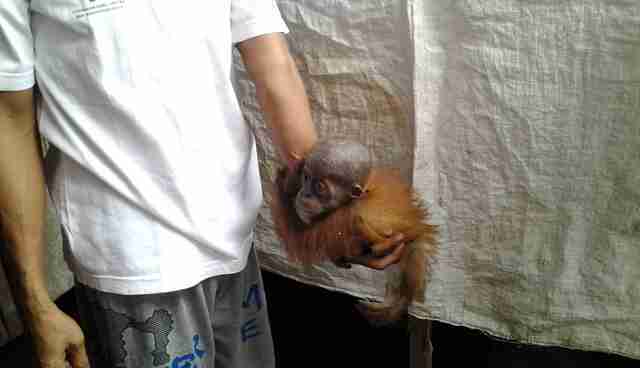 Sometime in 2012, an infant orangutan was kidnapped in the forests of Indonesia. During the incident, the orangutan's mother was likely murdered: The bond between a mother orangutan and her child is powerful, and a mother won't let her baby be taken from her without a fight. 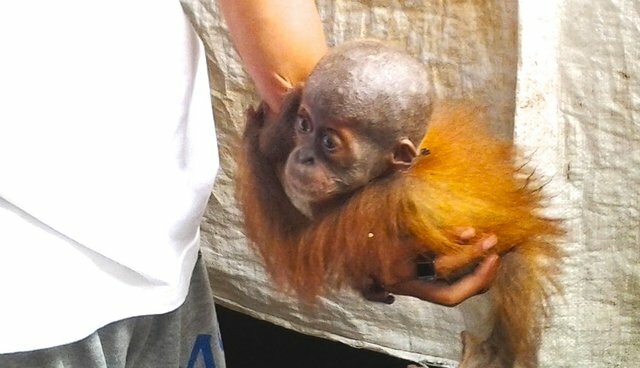 The captors - who were local fishermen - immediately sold the fragile infant to an employee of a large palm oil plantation company situated in the area, Jessica McKelson, director of the quarantine station at the conservation group Sumatran Orangutan Conservation Programme (SOCP), told The Dodo. The transaction was not uncommon. Nor was it expensive: The cost of the life of the mother and the illegal sale of the orangutan was less than $8, McKelson says. 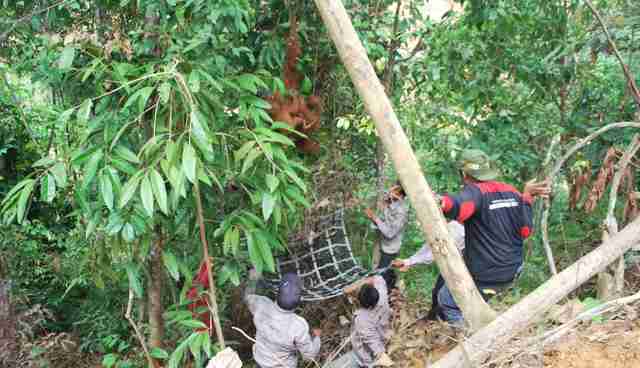 SOCP, along with local police, eventually rescued the little orangutan from his predicament and named him Gokong. Gokong was weak, dehydrated and malnourished. He was in such bad condition that, although he was a year old, "he had the appearance and weight of a 5-month-old and weighed only 800 grams," according to SOCP's senior veterinarian Yenny Saraswati. "We refer to these orangutans," says McKelson, "as the 'lucky survivors.'" 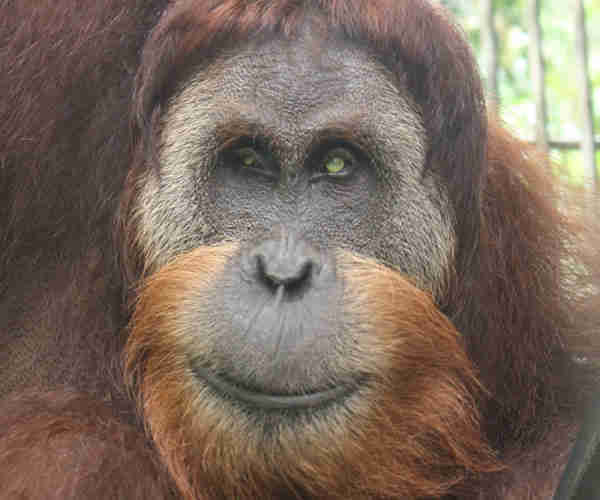 Another organization in the region advocating for the protection of the Sumatran orangutan is the Yayasan Orangutan Sumatera Lestari (Orangutan Information Center/OIC), founded in 2001 by conservationist Panut Hadisiswoyo. In an email to The Dodo, Hadisiswoyo says that the illegal orangutan trade devastates the tenuously-existing species because, aside from targeting the babies, "in order to get the babies, poachers have to kill the mothers." And orangutans breed very slowly, so any hunting pressures can hurt the population. Each year, says Hadisiswoyo, about 30 orangutans are confiscated from illegal keeping in Sumatra. Like McKelson, he refers to them as "lucky ones ... They were given a second chance at life through rehabilitation process. 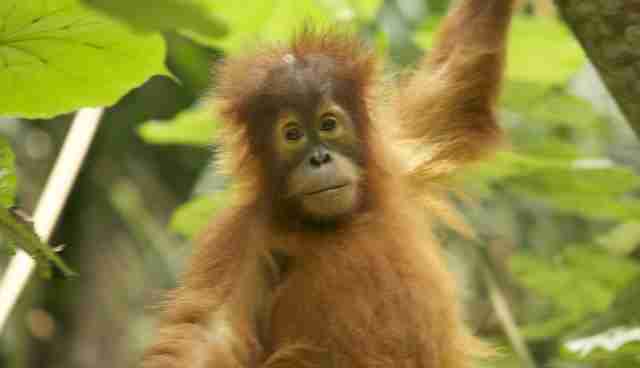 But there are still many other orangutans that can't be saved by our team." Today, there are a total of 47 orangutans at the SOCP quarantine station. They range from 1 to 30 years of age. Most are somewhere between 2 and 4 years old. 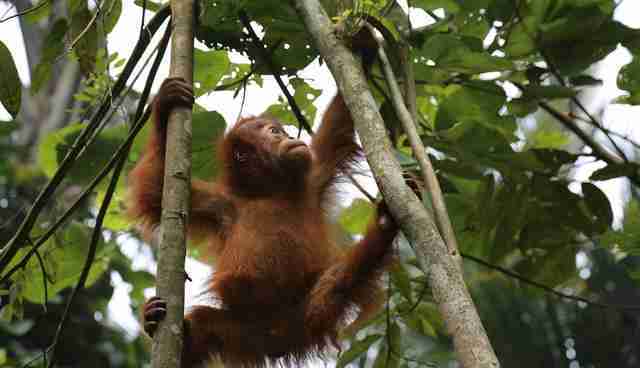 Unfortunately, however, SOCP is seeing an influx of orangutans who are under the age of 2, like Gokong. The central threat against these orangutans? People. 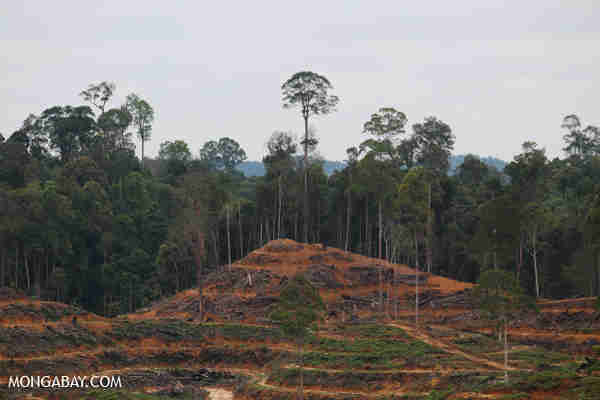 But more specifically, habitat destruction, spawned by the commercial timber industry, small-scale logging (legal and illegal) and the conversion of the orangutan's habitat into palm oil plantations, according to a 2009 TRAFFIC report. Palm oil is no small issue: it's the most-consumed vegetable oil on the planet, in everything from cookies to shampoo. The industry is reportedly the single largest driver of Indonesia's deforestation, which can leave orangutans homeless or, worse, captured or killed. An area particularly vulnerable to habitat destruction is the Leuser Ecosystem, says Ian Singleton, director of SOCP. 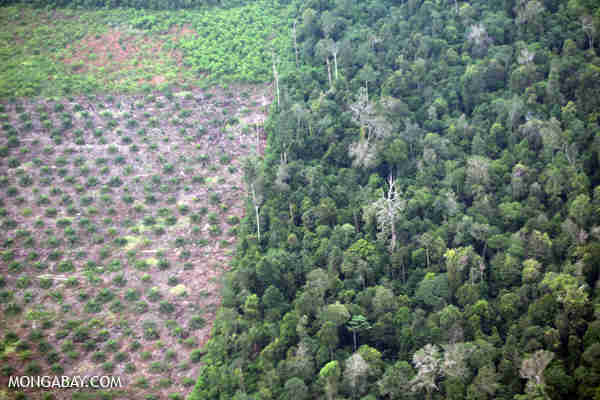 It is the main stronghold of the Sumatran orangutan and, Singleton says, "it is more threatened than ever before." 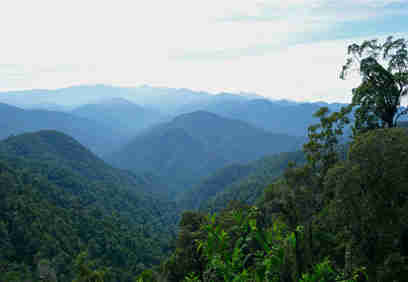 Singleton describes Leuser not only as vital to the orangutan's survival but as a truly unique ecosystem: "This is the only place on earth where the Sumatran orangutans can be found living side by side with Sumatran tigers, elephants and rhinos." Unfortunately, Singleton adds, Leuser is being undermined by the local government itself, which means that protecting orangutans from the illegal wildlife trade and insatiable commercial development - like palm oil production - takes extraordinary effort. Gokong was taken from an area near the Tripa peat swamp forests, which has one of the highest densities of orangutans anywhere in the world and "has facilitated a unique culture of tool use," according to The Orangutan Project. But, unsurprisingly, the Tripa peat swamp area was recently opened up for palm oil plantations. This caused illegal poachers and other opportunists who came across wildlife to illegally sell animals, including Gokong, says McKelson. "The population of wild animals is exposed and driven to extinction," says McKelson. "Nothing survives the process of habitat conversion to palm oil development because all the habitat is cleared, burned ... and drained." She also adds that the penalties against those who do traffic the orangutans is woefully weak: Gokong's captor, for example, should have been convicted of having a critically endangered species. But SOCP knows of only three convicted cases in the organization's history - and in the case of Gokong, neither the fishermen nor the palm oil plantation worker were prosecuted. Returning these rehabilitated orphans into the wild is time sensitive: The Sumatran orangutan is a critically endangered species that has seen a decline in population of at least 80 percent in the last 75 years, according to the IUCN, and that's quite possibly an underestimate. The commercial trade of orangutans is prohibited but that legislation, like many wildlife laws, is flouted, and orangutans like Gokong end up in the illegal pet trade and in individual homes. And what these primates endure can be absolutely appalling. "[They] are often found in inadequate living conditions, [living] in bamboo boxes or cages to chicken coops," says McKelson. Sometimes they are chained around their neck or waist and tethered to a tree. "They have no choice but to spend their time in complete isolation and often during this process they naturally learn to develop a conditioned dis-attachment and seek no attention from people." McKelson says, ironically, SOCP doesn't want to undo this process, since the best way to rehabilitate the orangutans is to encourage the primates to socialize and thrive in the company of their kind. When orangutans come to the Batu Mbelin Care Center, they often enter with a host of physical afflictions beyond being malnourished and underweight. "We commonly see wounds from the chains many are kept in by their illegal owners," says McKelson. And on the more extreme end of the scale, she says, "we see animals who've suffered extreme violence at the hands of their captors." For example, SOCP has cared for one infant whose nose had been chopped off with a machete. One female orangutan has Hepatitis B, "most likely from biting her captors," McKelson says. 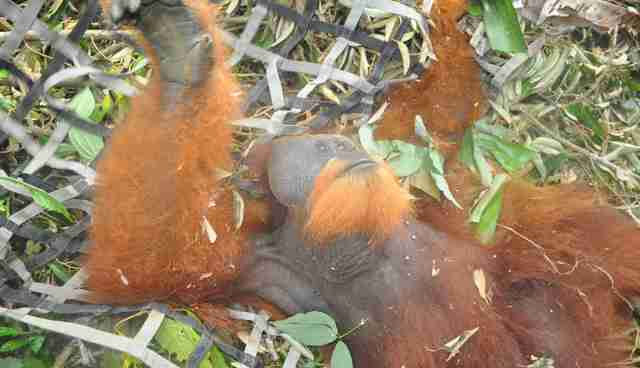 And a male orangutan named Leuser was shot with an air rifle 62 times. Now, he is blind. Gokong's developmentAfter Gokong arrived at the quarantine, he required 24-hour care. He developed a strong affection for his human caregiver, which was worrisome. Now, though, says McKelson, Gokong spends increasingly more time frolicking and growing up with pals his own age: Nadya, Siboy, Jagai, Cece and Bulan.Sumatran Orangutan Conservation ProgrammeHis friends are helping him to be a wild orangutan. And he is learning valuable skills like nest building, problem solving and being independent. Gokong is also learning how to access and utilize vitally important muscles in his body, says McKelson.So one day, if he is lucky enough to return to the wild, he will know how to climb a tree.Sumatran Orangutan Conservation ProgrammeTo help support SOCP's new orangutan orphanage, click here.To donate to Orangutan Information Center, click here. After Gokong arrived at the quarantine, he required 24-hour care. He developed a strong affection for his human caregiver, which was worrisome. Now, though, says McKelson, Gokong spends increasingly more time frolicking and growing up with pals his own age: Nadya, Siboy, Jagai, Cece and Bulan. His friends are helping him to be a wild orangutan. And he is learning valuable skills like nest building, problem solving and being independent. Gokong is also learning how to access and utilize vitally important muscles in his body, says McKelson. So one day, if he is lucky enough to return to the wild, he will know how to climb a tree. 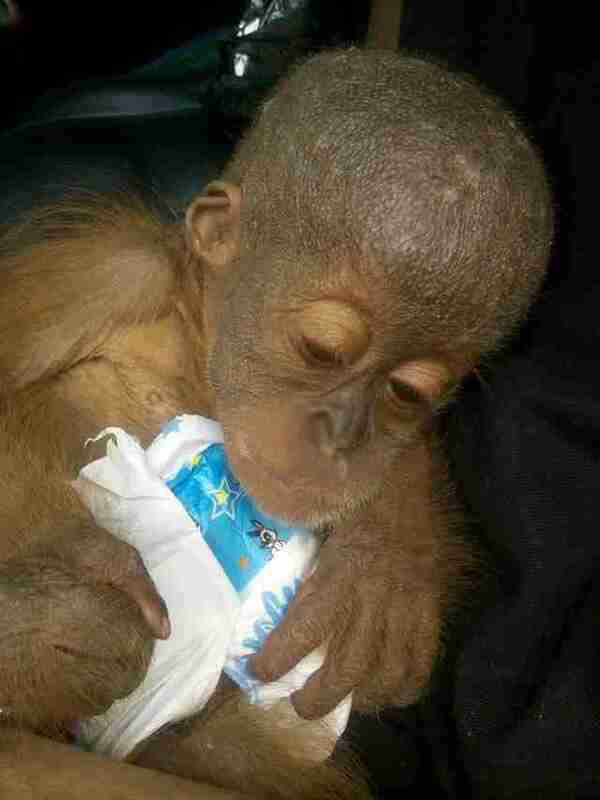 To help support SOCP's new orangutan orphanage, click here. To donate to Orangutan Information Center, click here.